I live in Miami and use MIA about once a month. It's average for US airports. Confusing signage. Some modern areas. Some from the 1970s / 80's. Just OK retail and amenities. 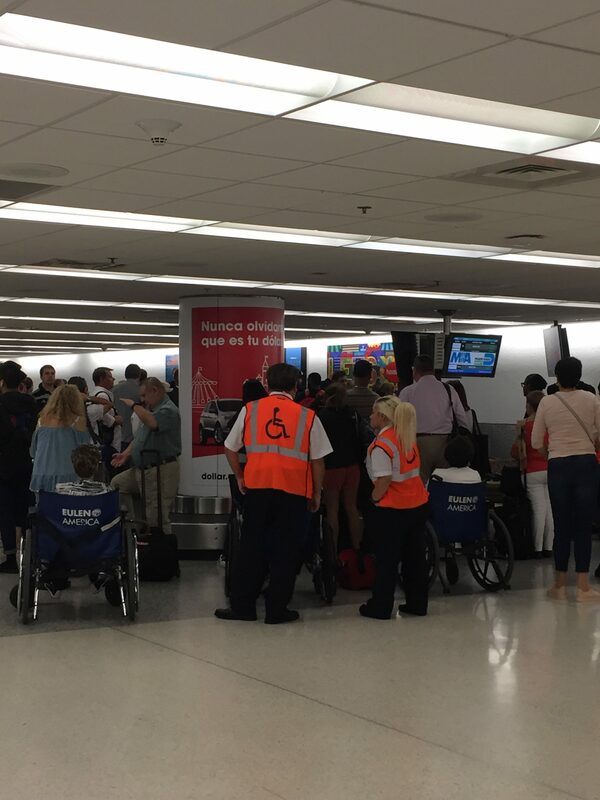 That said travelers - especially transit passengers and those originating at MIA - beware. On two of the last seven trips I've taken out of MIA I have had items pilfered from my luggage. My advice: Do not check any luggage through MIA. Otherwise avoid this airport and transit through Spain. LGW LHR or CDG if you are going to Latin America from Europe or maybe ATL DFW or JFK if you must use a US airport. Landed internationally in Miami on June 6. Weather was bad and we missed every connection. Customs for US citizens went fairly quickly but rebooking of luggage was a nightmare due to missed connections. AA staff were highly unmotivated and complained about how long they had to work that day. Like we wanted to sit aound for 10 hours. Go upstairs to check in and rebook you will save yourself a lot of time. Locals told us never to connect in Miami in June and July. AA terminal was a dump with limited restaurants other than self service food lines. Miami airport makes Chicago's O'Hare look great! 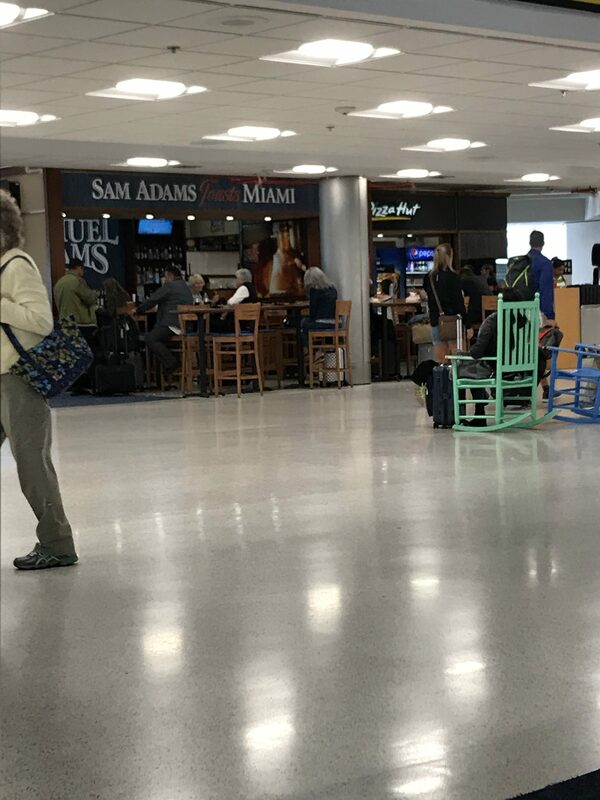 This was the first time I have ever flown into the Miami airport as an international passenger and although I've never had much good to say about MIA from a domestic standpoint for international travel it is even worse. Upon arrival from France we headed off for a long walk to the customs and immigration area of the airport. However once we arrived we were held at the bottom of a staircase while they got their staff ready for us. Once inside things moved quite quickly though I've never been asked so many random questions by immigration. (Nor have I ever run into such unfriendly immigration agents.) Instructions for where to go and what to do with your bags for continuing flights was totally lacking. Fortunately a TSA agent walked by as we were being given instructions and he told us to just follow him. (Following the blue line in the floor was fine expect that you had to drop your bags off to be x-rayed about mid-way on the blue line.) At least this time our connecting flight wasn't a 45 minute walk. Bottom line considering that MIA has been under construction since 2004 it seems like they could have done a much better job with it. MIA is not a passenger-friendly airport. I usually fly in and out of MIA on domestic flights - only if I cannot avoid it. Do not consider flying into this airport unless you can handle the minimum 15-20 minute hike from the security screening area to your gate. 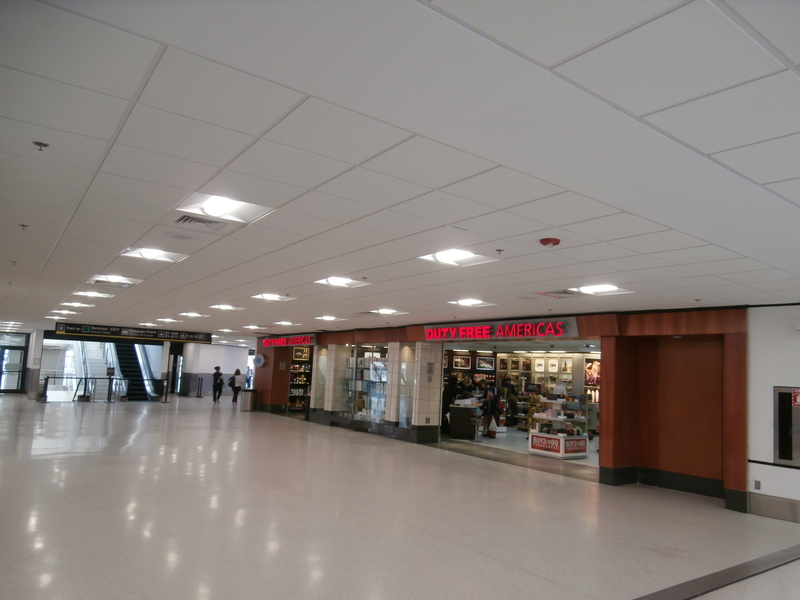 The later your flight arrives or departs at MIA the further your gate will be from the exit to the terminal. If you have the misfortune of arriving before 7am or after 10pm the stores will be closed the fast food and sit-down restaurants are all closed and you will walk past seemingly miles of empty gates to get to the terminal or your gate. There are no moving sidewalks in the concourse areas so be prepared to hike. 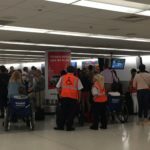 If you are disabled by all means try to avoid this airport at all costs. The newer terminals are pleasant to look at but uncomfortable to navigate to. MIA is a rabbit's warren of zig-zagging white wallboard mazes with poor signage and a lack of decent food service or practical traveler shops. 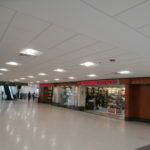 There appears to be no rhyme or reason to the airport terminal or concourse layout and you usually must exit one concourse and recheck through security to get to another. Even if you are headed in the right direction you will need good walking shoes. MIA is laid out for the administrators security and airlines benefit - not the passengers. The taxi cab drivers are rude if you don't have too far to go from the airport and parking at the Economy Park and Ride is an adventure unto itself with a lack of passenger clearly marked pickup/drop-off areas. Good luck finding your way around this airport. With all the money that has been spent the only improvements I've been able to discern have been cosmetic. 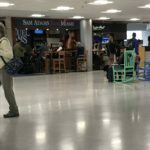 It is still the worst airport in terms of passenger experience I have ever used and continues to frustrate me both as a passenger and resident of Miami. I was in Miami airport on the Monday before Easter and Wednesday after Easter in 2 different areas transiting between the Caribbean and England and nothing has improved here. The queues are long and take for ever the officers have to hunt on the computer take photos and finger and thumb prints for everyone golf bags are always opened up and a note left to excuse the bad refastening and for people who simply want to transit onto another flight and not spend a moment more than necessary in the USA it is a nightmare worth avoiding. Not much different to LAX which is in the same league. Surely some one can work a transit system out at the 4 or 5 big hubs so transit passengers can be treated as in all other countries. What can I say about Miami airport other than what a complete nightmare! It starts as soon as you hit the tarmac get off the plane and discover a mass of people all trying to get through immigration. Immigration itself took me around an hour which wasnt as bad as the 2 hours last time I visited. They make you stand - even the elderly and then interrogate you like a criminal taking finger prints and photos. Then you get through to the baggage lounge where your bags have been dumped in the middle of the room as there isnt enough room on the belt! It then takes you another 15minutes of pushing and being pushed to get out of the ridiculously small baggage claims area. By the time this happened it was dark and I had to then stand outside trying to flag down my hotels complimentary shuttle bus. On my return back to the UK I arrived at the airport very early and waited patiently as the bag drop desk for Virgin Atlantic opened. Once it did I checked in and was then told to take my bags with me to a special designated bag scanning area. Took my bags there but the machine was broken and the a lot of bags were being piled up (not exactly a safe and secure method if you ask me). Anybody could have walked off with the bags! Anyhow they eventually sorted it out and were taking bags somewhere else for us (or should I say one guy was). the departure gate area F is dark and in need of brightening up. The toilets were disgusting. The shops are appalling and the only food options is junk food. Out of all the airports in the world this has to be the worst I've visited. Travelled LHR to MIA and arrived at rear of 90 min queue for immigration late afternoon. Lucky we changed our plans 2 months earlier as a result of reading this site. We had allowed 1 hr 45 mins to change to AA flight to Cancun which was OK with airlines who allow 1 hr 35 for transfer but clearly not enough time. We therefore stayed overnight and travelled the next day. On our return flight it could not have been more different we arrived early afternoon and there were no queues at all we were through immigration in 5 mins. That was great but we will never transfer through an airport again unless we can overnight as you just don't know how long the Immigration Q will be not just in the USA but worldwide. Miami is an older airport in the BA and AA areas and reminded me of 1960's 'Thunderbirds' film settings. Real vintage stuff but it has all you need with regard to toilets and food. Passenger search was reasonably quick and no complaints there. It is confusing checking in with AA but if you memorise the airport layout on the website you get an idea of where to go to checkin which helped us find BA check-in. I mostly agree with Vincent Smith's comments. MIA is not a particularly pleasant airport but that does mostly apply to the older AA-dominated terminal(s) and to non-US residents going through immigration. However having said that I fly out of MIA constantly on international flights and rarely am held up due to the fact that I am an AA frequent flyer so get fast- tracked through baggage check. The new terminals are fine and will be a big improvement. As to Spanish and Creole-speaking staff most travelers are from Latin America and the Caribbean however all customer service staff speak English. If you are addressed in Spanish once they realize that you don't speak it they will switch to English. US residents rarely wait more than 15 minutes in immigration and officials have always been polite in my experience. Non- resident friends have complained. However even US citizens may be subject to questioning and stopped at Customs and asked lengthy questions about the purpose of their trip. Duty-free is almost non-existent baggage claim in the old terminals is utter chaos. Do not clear immigration in Miami if you are not capable of walking a long long distance. My husband and I are in our 70's and last month came home from the Caribbean through Miami. Our plane landed at the very farthest point from immigration and we were concerned we might not be able to complete the walk. We did not have long to wait at the Immigration line but had a heck of a time trying to figure out what carousel our luggage came in on. There were mobs of people and no help!